Your air ducts accumulate things like dust, dirt, and contaminants over time. The only way to remove them is through air duct cleaning. If you suffer from allergies, asthma, or any other respiratory problem then it’s especially important to remove these airborne particles from your home. A thorough cleaning will help everyone in your home to breath much easier. The airborne contaminants that gather in your air ducts are obviously a problem to your personal health but they’re also a big problem for your HVAC system too. A dirty ductway forces your HVAC system to work against the obstacles of airborne contaminants to provide you with conditioned air. Dirty airways are an unnecessary obstacle that your system has to work against to provide conditioned air to all the rooms in your home. It’s a large waste of energy so make sure you keep your ducts well maintained. Are you blasted with foul odors when you turn on your HVAC system? There are many reasons for this problems. Pets, household cleaning agents, paint fumes, tobacco, mold, and even food byproducts contribute to bad odors in your air ducts. Any time that your furnace or air conditioner runs it circulates these scents throughout your home. A professional cleaning of your air duct system removes all the odors trapped within your air duct system. 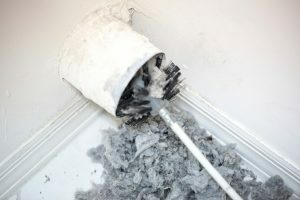 Duct cleaning services aren’t exactly routine to most homeowners, so if you’re unsure if you need duct cleaning, here are some signs. Professional air duct cleaning is necessary if you’re seeing the adverse effects of dirty dust affect your home and family members. You can’t run a vacuum over the registers and think that you’ve done the job, you need a thorough cleaning and our team will provide this for you. We’re knowledgeable, conscientious, and efficient. If you want reliable air duct cleaning in St. Augustine, contact Climate Masters today to schedule an appointment.